Toyota Certified Reconditioned Forklifts are some of the best value-for-money forklifts available. In keeping with its company policy of providing the best forklifts on the market, new or used, Toyota has devised two service agreements. By creating these service agreements, Toyota assures the customer they will be getting a used forklift that has passed Toyota's rigorous 103 point quality inspection and is backed up by Toyota's generous 12 month /2000 hour warranty (whichever comes first). All models of Toyota lift trucks are eligible for their certified used equipment Powertrain Service Agreement. The more comprehensive Carriage-to-Counterweight Service Agreement requires that the vehicle must be less than 72 months old and have undergone less than 12,000 hours of service. Both Service Agreements cover a variety of internally lubricated parts. These include engine, transmission and differential parts as well as drive motors, gear cases and the controls of electric powered trucks. 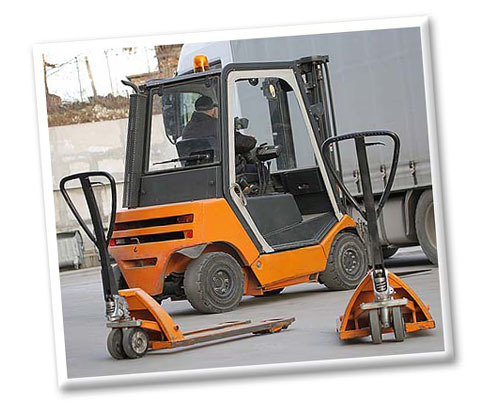 The Carriage-to-Counterweight Service Agreement covers additional parts not covered by the Powertrain Service Agreement that applies to older used forklifts. Only trusted authorized Toyota dealers are allowed to offer Toyota Certified Reconditioned Forklifts. While these dealers are authorized by Toyota to offer these Certificates, they are backed and administered by Toyota. Toyota Certified Reconditioned Forklifts can be financed by Toyota Financial Services and leased equipment can also receive a Toyota certified warranty. Rental equipment is excluded from these offers. In order to keep the cost of the warranty to a minimum, the Toyota warranty is limited to clean operating environments only. Foundries, cement plants, lumberyards and other operations in harsh, dangerous and/or dirty environments are not eligible for the programs. Claims on Toyota Certified Reconditioned Forklift are made through the authorized dealer. There is a one hundred dollar deductible claim charge and claims of over $4000 must first be pre-authorized by a TMHU (Toyota Materials Handling USA) Warranty Analyst, Territory Parts & Service Manager, National Accounts Service Manager or Field Technical Specialist before repairs can be undertaken. All parts used in the repair of your used lift truck will be genuine Toyota OEM parts. When you find a used forklift for sale online and decide to make a purchase, a manufacturers warranty gives you the peace of mind of knowing that during that first crucial year of operation, when if things can go wrong, they do go wrong, you will not have to bear the burden of the cost of repairs. A Toyota Certified Reconditioned Forklift is a forklift you can count on.